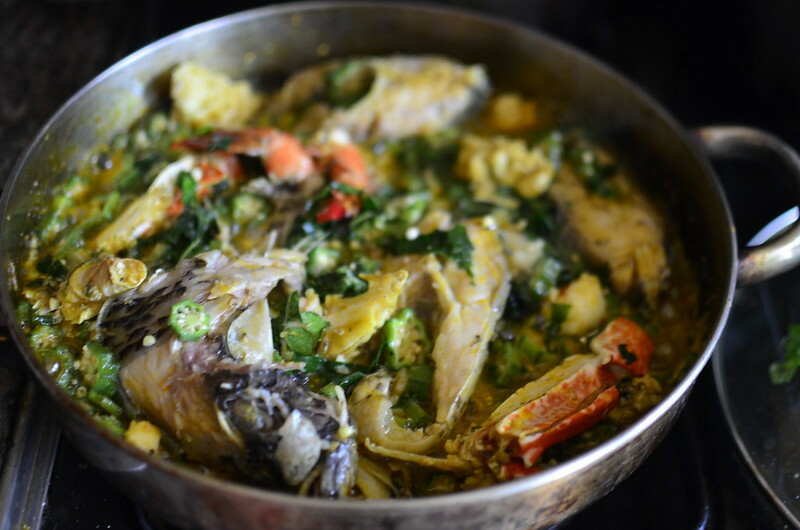 ‘Mehn, soup get level’…and this is up there with the best. 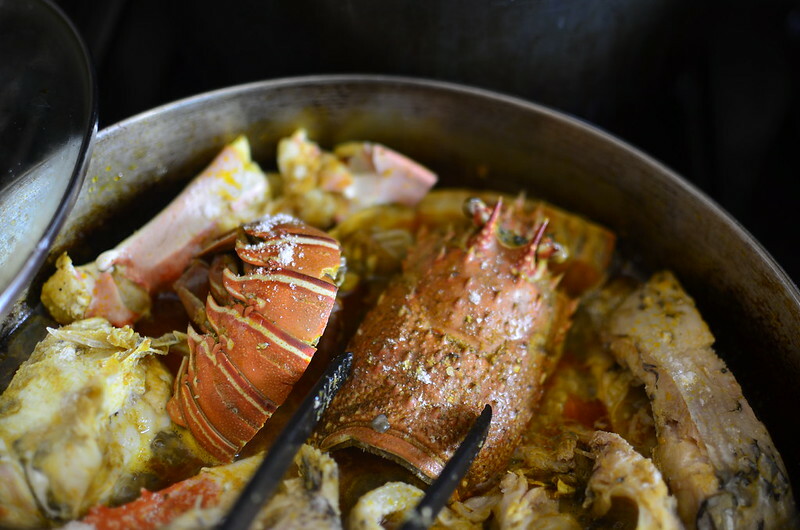 A pot, choc-full of the freshest seafood – crabs, lobster and fish. 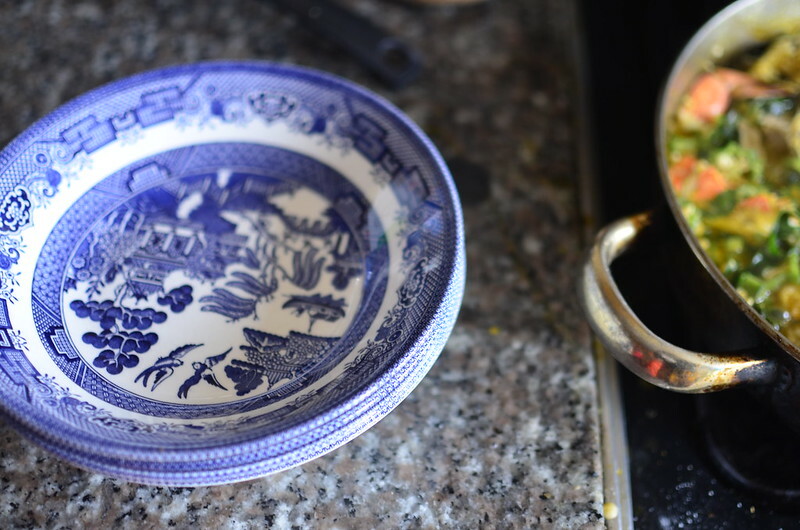 I like to cook it in a shallow pan so the fish doesn’t ‘scatter’ :). 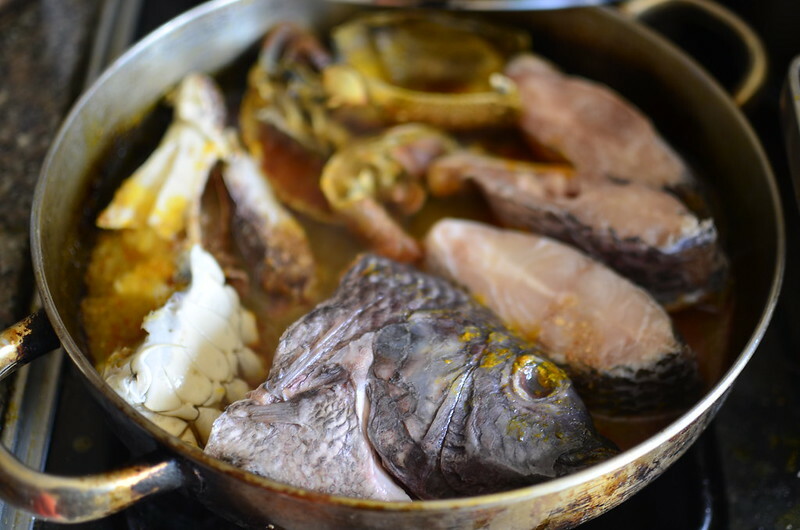 I start off with making a quick stock – a combination of fried lobster shells in palm oil and salt, with the strained liquid from pureeing prawn heads (if available). 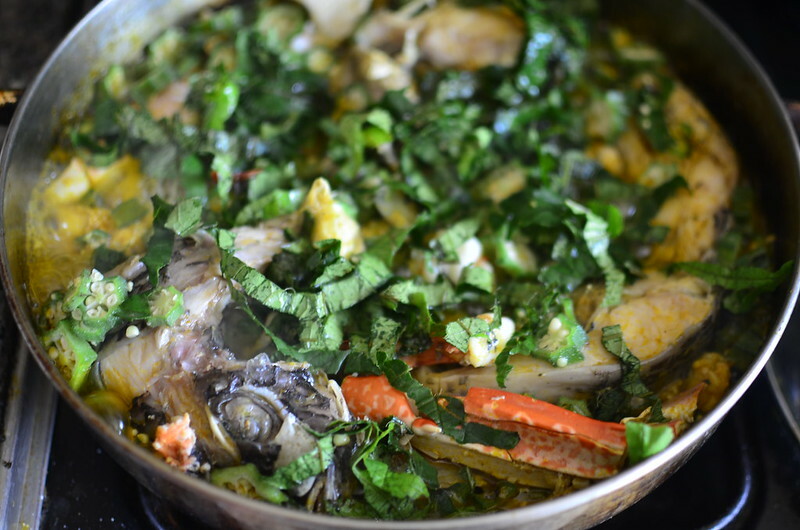 After a few minutes, the crab chunks and fresh fish go in – Tilapia in this case. Cleaned prawns and steamed lobster follow. 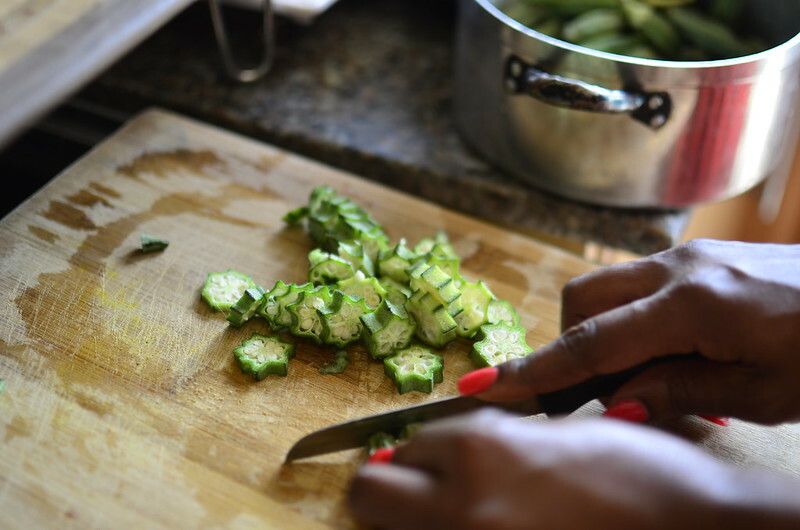 All the while, everything cooks on low heat – a simmer, bubbles barely breaking the surface as we check for seasoning and adjust – a pinch of salt over the fish, fresh yellow chilies in the sauce. 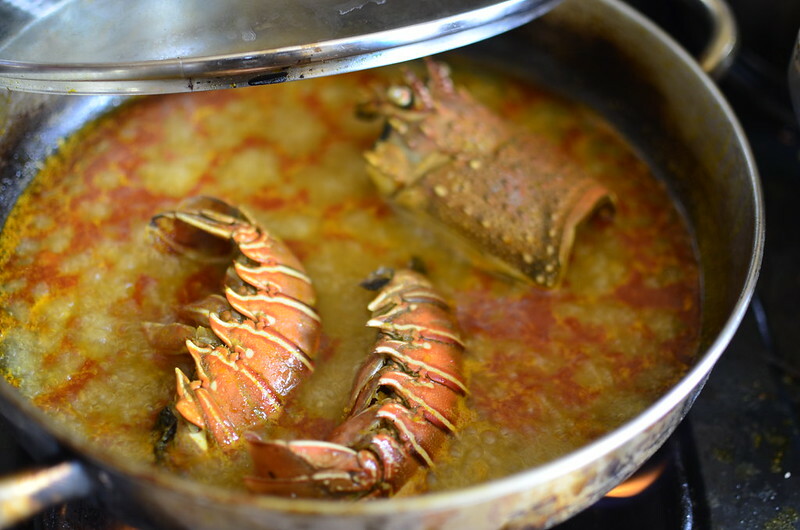 When we begin to make progress and the pan fills up with seafood, I remove the lobster shells – their purpose has been served. 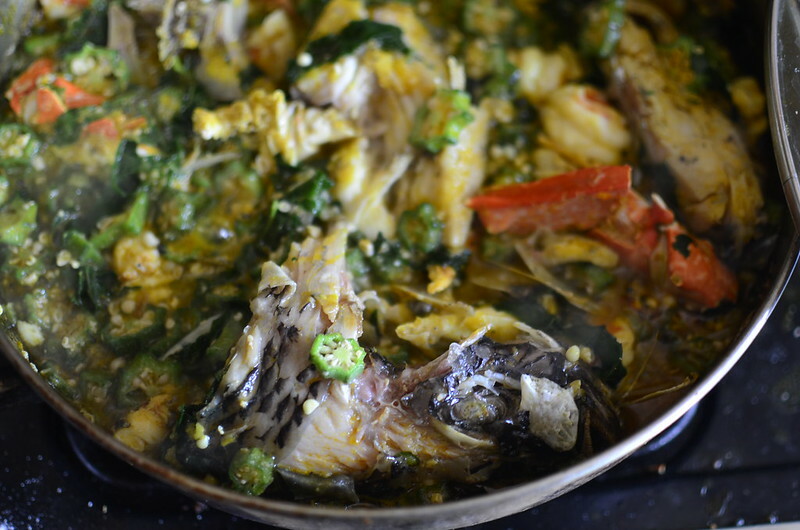 The soup is becoming just that, soup – drawing liquid out of fish and mingling with the sticky, gelatinous essence that is okro. And Ogbono. A handful of green leaves are tossed in, not with careless abandon so much as strewn. The lid goes on. To set the greens, causing them to wilt but not wither. A few more minutes simmering and that’s it. Done. Our bowls are set, stacked and ready to receive this offering of our seas. We eat it as a starter. The main course? Banga. Talk about food for the gods.